Opening Ceremony – 5 August 2016 – Rio de Janeiro Brazil 2016 Olympic Games. 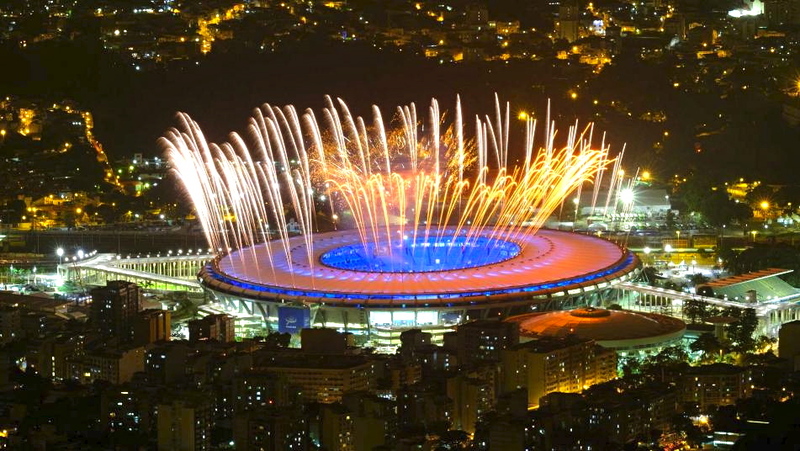 The 2016 Olympic Games officially started in Rio on Friday with the opening ceremony at the Maracana Stadium. Rio 2016 will be the most live Olympics ever, find out how to catch all the action. The networks and digital platforms of NBCUniversal will present an unprecedented 6,755 hours of programming for the Games of the XXXI Olympiad from Rio de Janeiro, Brazil, this August. That’s roughly 356 hours of coverage per day (19 days). If the 6,755 hours ran on one channel, it would take 281 days to finish airing. With Rio just one hour ahead of the Eastern Time zone, the 2016 Summer Games will be the most live Olympics ever. NBCU will present 2,084 hours of Olympic programming across 11 networks. Find out what to expect this summer from each network by clicking below.